Internet connection wirelessly. You can also use an ad hoc connection to share your files and printers. 2.) 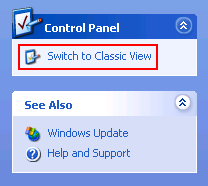 In the new window that opens, Click Switch to Classic View to continue this tutorial. 4.) 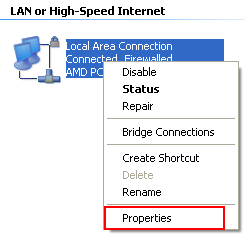 Right-click the Ethernet network connection that your DSL or Cable modem is connected to and click Properties. 5.) 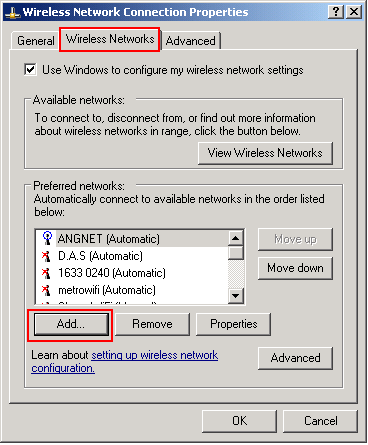 Click the Advance tab, select the Allow other network users to connect through this computer's Internet connection check box. 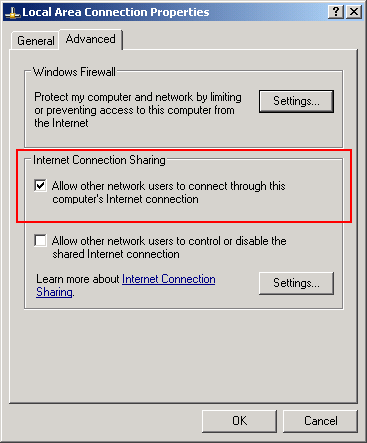 Make sure the Allow other network users to control or disable the shared Internet connection is not checked to ensure your computer is in control of ICS. 2.) Make sure you Click Switch to Classic View on the top left corner in the new window that opens. This will ensure that this tutorial is accurate as you follow along. 6.) 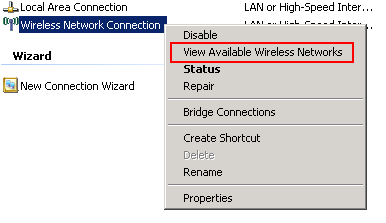 Under the Association tab, next to Network name (SSID) type in the new ad hoc network name. I named mine "Ad-Hoc Network"
Next to Data encryption: you can choose between "Disabled" and "WEP". For now we will leave it at Disabled to ensure we can connect the other computers and verify a successful ad hoc configuration. 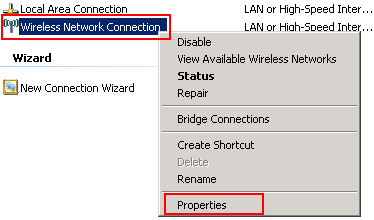 After you verify a working connection, we can choose WEP and next to Network key: we can type the WEP key. The WEP key should be a random sequence of hexadecimal digits or numbers, letters and punctuation. Please note that WEP is not so secure but it is the only option you can choose to ensure encryption is used. 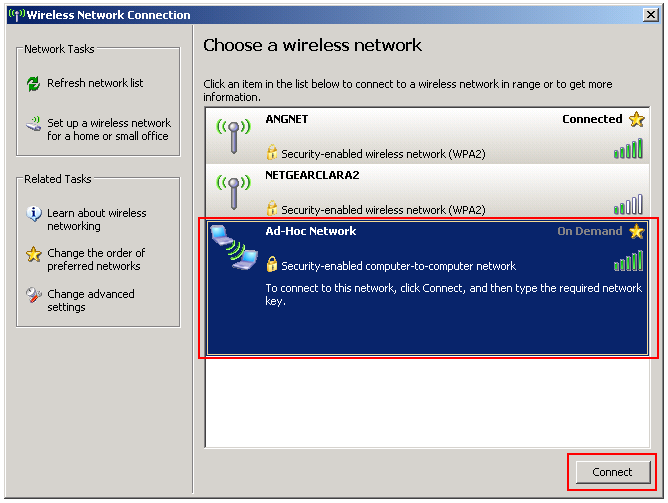 Select the This is a computer-to-computer (ad hoc) network; wireless access points are not used check box. If you choose Disabled next to Data encryption, a window pops up warning you that; information sent over the network can be visible by other people when not using encryption, click Continue Anyway. 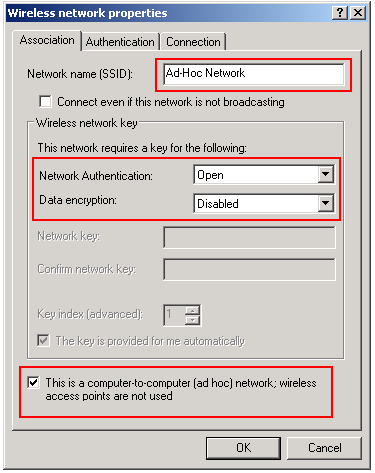 When you configure the ad hoc connection with WEP, then you have to make sure all the computers that will connect to this ad hoc use the configured encryption WEP key. This computer will now broadcast a wireless signal that specifies it is an Ad Hoc Network connection. Any computer in range can connect if they have a wireless adapter. When they connect, they will be prompted for the WEP key. Once the WEP key is verified, both computers will share files and printers along with the Internet connection. Also make sure that your computers are set to "Obtain an IP address automatically" if you will be sharing your Internet. Click here for a quick tutorial. Remember that you will use the ad hoc connection to share your Internet, files and printers. 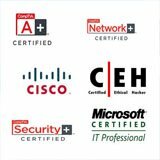 If you have a wireless access point or router then I recommend you use that instead of an ad hoc connection. 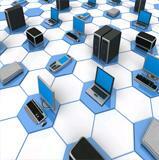 A wireless router will allow more computers way faster speed and range along with security. 1.) 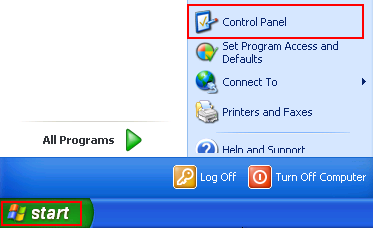 Click Start, click Control Panel and Double-click Network Connections. 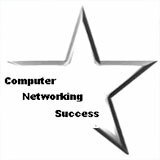 You are now connected to your new Ad Hoc Network! 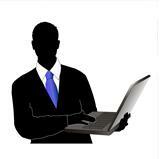 Your computer should have Internet access. 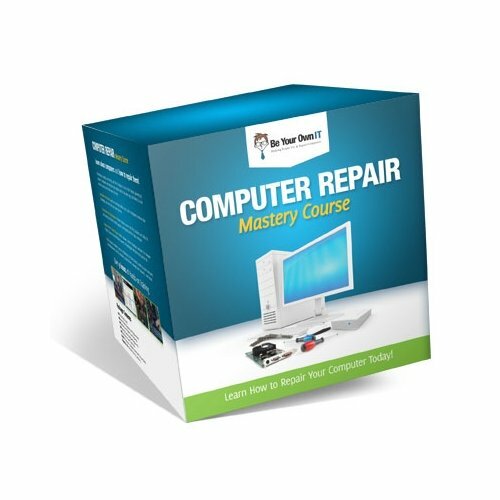 Go back to the Wireless Network Setup to continue the tutorial.